Where do you go to get a heavenly hotdog in Singapore? Fung Kee Hotdogs is the right answer! My food dream has always been to own hot dog stands all across the island because I love hotdogs (who doesn’t) THAT MUCH! Part of my dream came true when a group of friends introduced me to Fung Kee Hotdogs located at Duxton Road. I was still full from the delicious dinner we had at Tie Fun Wan but there’s no saying no to hotdogs in my world. I ordered the Classic with mustard and ketchup and it was GONE in 10 seconds. If there was even a tiny space left in my belly, I would have gone for the Swiss Cheese and the Vegan with zero hesitation. 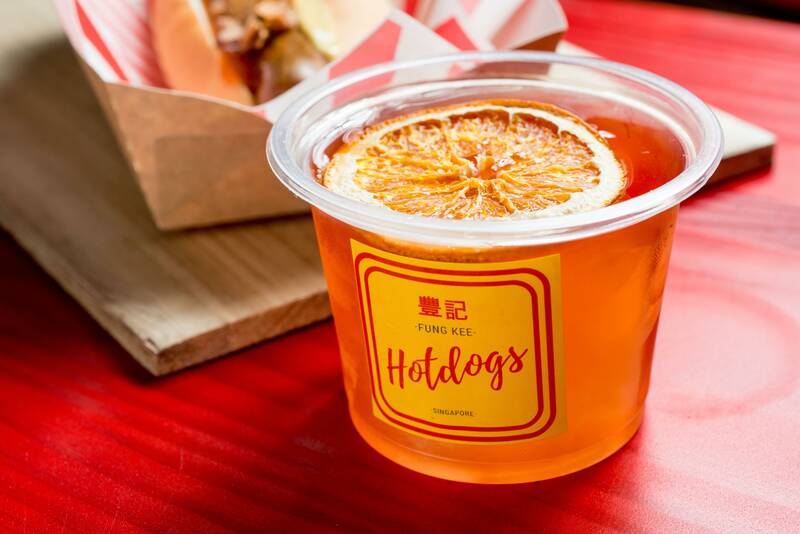 After the successful opening of Fung Kee Hotdogs Orchard Towers in September 2018, the team has also hosted various pop ups around Singapore such as Zoukout, Gin Lane, Lulu’s Lounge and SEA Focus. 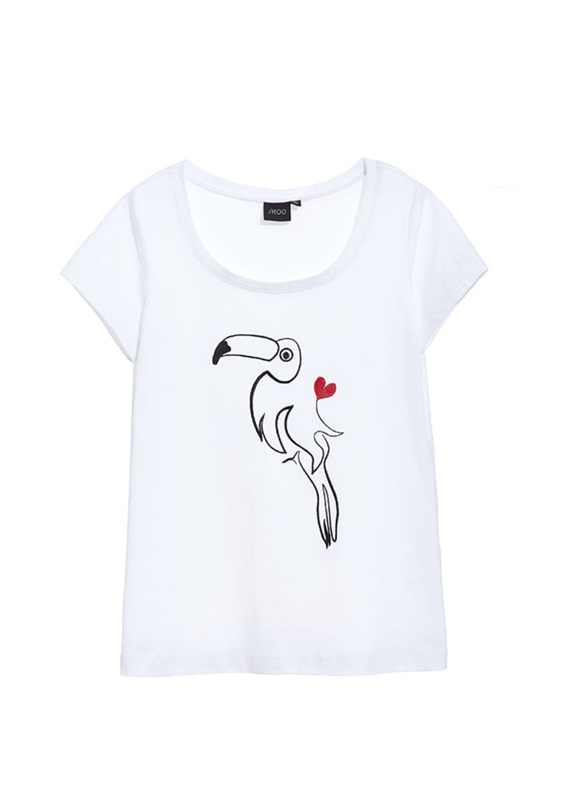 Founder Knut Randhem has spent six months carefully developing the brand. 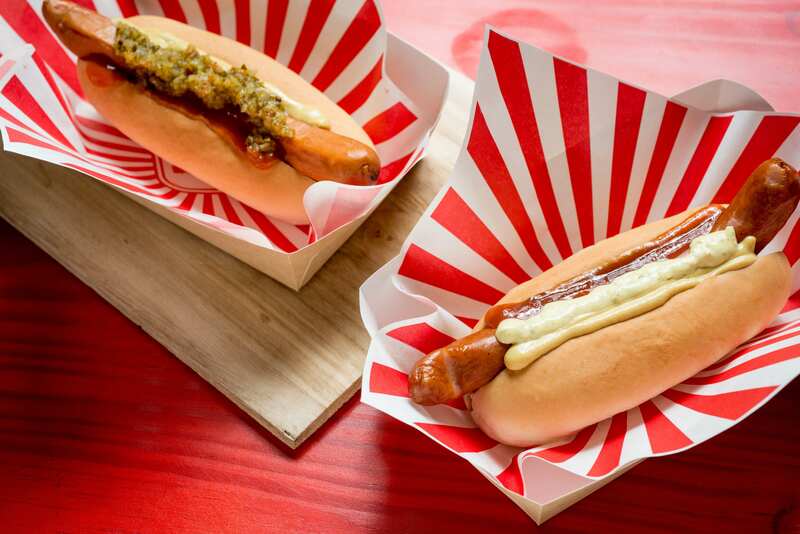 Giving his Scandinavian background, the concept showcases a strong influence from Scandinavian’s hotdog culture: “I’ve been missing a place for quality hotdogs done simply, but that are delicious, and with a great beverage offering,” says Knut. 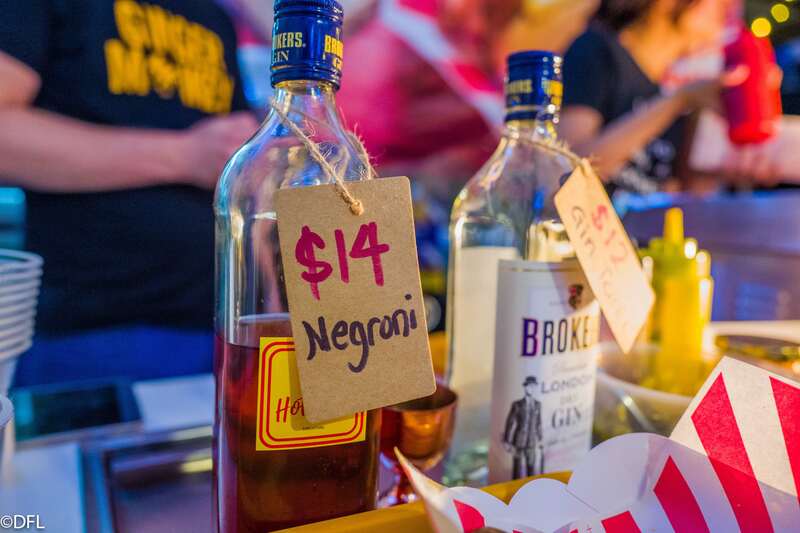 “Obviously with my bar and spirits background, I wanted to add a good beverage program to the menu. 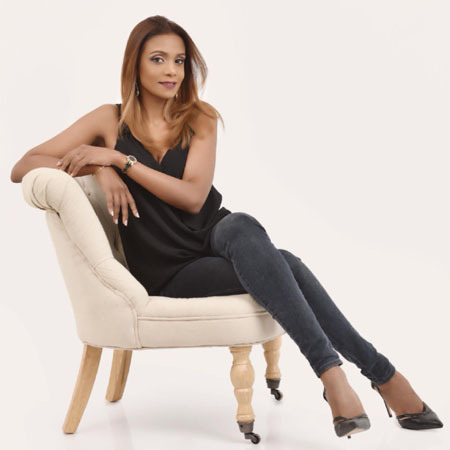 So we are serving a range of cocktails, good quality beers, and champagnes to accompany the dogs.” Choosing Duxton Road as the location for the second venue was to complement the existing dining and after work hotspot. Whether it is before dinner, between bar hops, after shift or post workout, Fung Kee makes a fitted pitstop. A Classic Pork sausage, made from premium pork. The Swiss Cheese option is pork based, flavored with selected swiss cheese. A Vegan sausage is made from grilled mushroom and soy. All are served in a toasted bun with in-house made sauces, including the classic Danish Remoulade (curry mayonaise with pickles), Hej Bee chili with crispy shrimp bits, a secret sauce, and finished off with either crispy onions or pickles. The beverage program includes champagne by the glass ($18), house Negroni ($14), beers ($10), and a selection of house spirits. For high rollers, there is also Dom Perignon Champagne at $298. New to Fung Kee Duxton is a special ‘Catch-22’ after dark menu. All items are $22 nett and the menu includes a Cheese Fondue and 4 well crafted classic cocktails with an option of an Akvavit Switch for additional $3Weekly Happenings at Fung Kee Duxton! 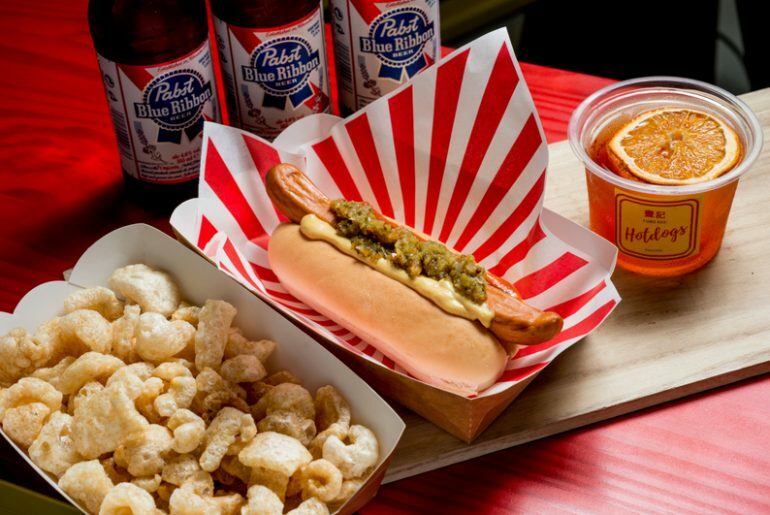 Tuesday: Not-So-Meatless Tuesday: Beer + Dog Deal for only $15 nett! What’s With The Fung Kee Name? The name is a symbol of Western and Asian hegemony: A Scandinavian hotdog place in Asia, with an edge. The name 豐記 (Fung Kee) means prosperity.